The verdict is in and it is the verdict I expected. However, it would be my opinion that Dr Conrad Murray should not have accepted to look after as sick a gentleman as Mr Jackson. In other words, Mr Jackson’s addiction to medical drugs was such that, unassisted, one doctor could not look after him. There were times when Dr Murray had to rest, eat, take a bath, etc. 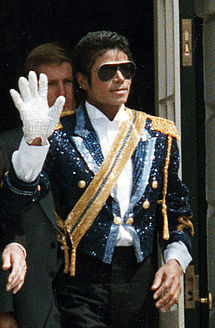 Only a team of health-care providers could have prevented Michael Jackson from taking that lethal dose. I wonder why Mr Jackson did not enter a detoxification centre. It was the only environment where he would have been monitored on a constant basis and where his access to narcotics would have been restricted. In short, Dr Murray is guilty mainly, if not only, of having accepted an impossible job. Moreover, he is also remiss in not having resigned when he became aware of the severity of Mr Jackson’s addiction to narcotics. No one took Mr Jackson away from his fans except Mr Jackson himself. As for Dr Murray, he made an error in judgment and it appears he will pay dearly for this error.